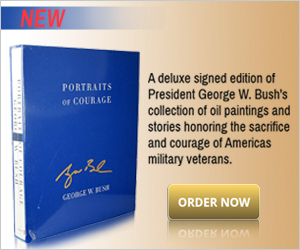 Related category – Presidential Autographs and signed books by Carter. Jimmy Carter was born in Plains, Georgia, and served as thirty-ninth President of the United States. He and his wife, Rosalynn, founded The Carter Center, a nonprofit organization that prevents and resolves conflicts, enhances freedom and democracy, and improves health around the world. He is the author of numerous books, including Palestine Peace Not Apartheid, An Hour Before Daylight and Our Endangered Values. He received a “Best Spoken Word” Grammy Award for his recording of Our Endangered Values. All of President Carter’s proceeds from this series will go to the Maranatha Baptist Church of Plains, Georgia. Harvard Divinity School welcomes President JIMMY CARTER to Harvard for a discussion of his latest book, A Call to Action: Women, Religion, Violence, and Power. A Call to Action urges the end of discrimination and abuse against women, calling it the number one challenge in the world today. The book builds on the work of faith leaders and courageous human rights defenders who met in 2013 at the Carter Center to mobilize faith groups worldwide to commit to advancing women’s rights. Religion, they said, should be a force for equality and human dignity not oppression. Admission is free. Tickets required. Limit of 2 per person. Tickets valid until 3:15 pm. Available by phone and Internet for a fee, in person at the Smith Center Box Office, by calling 617.496.2222, or reserve online at www.boxoffice.harvard.edu starting November 4. For all who are unable to attend, this event will be live streamed and able to be viewed through hds.harvard.edu. A book signing with President Carter at the Memorial Church from 5:30 to 7:30pm will follow the lecture. Books can be purchased in the store at 1256 Massachusetts Ave. (on the corner of Plympton St.), online at harvard.com, or at the event until the start of the lecture at 3:30pm. Doors open to ticket holders at 2:30. Tickets are valid until 3:15pm. A book signing, open to ticket holders only, will follow from 5:30 to 7:30pm. 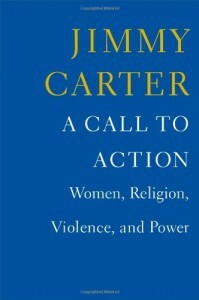 President Carter will primarily sign copies of A Call to Action and up to 5 additional backlist titles per customer. Previous titles must be accompanied by at least one copy of A Call to Action. For more information , please visit The Harvard Bookstore here.